Textron decided to standardize its global subsidiaries onto an SAP business information solution. The challenge was significant. Integrating completely independent brands with well-established internal processes and existing legacy systems required a great deal of visibility and accountability. Textron does business in a number of highly regulated sectors, further complicating the consolidation of its BI systems. As such, it is subject to stringent inspections to ensure regulatory compliance and adherence to Sarbanes-Oxley reporting requirements in the US. To meet the challenge, Textron needed an SAP change control solution that could manage the complex project with flexibility, power, responsiveness and reliability. The multi-industry global giant selected Revelation Software Concepts’ (RSC), Rev-Trac – SAP change control automation software – after a rigorous review of competing technologies. Rev-Trac provided the level of control, compliance and transparency Textron required to modify its existing BI systems to meet regulatory requirements and evolving market needs. The solution’s capabilities enabled Textron to do everything “by the book”, with full documentation of processes and enforced approvals for all changes. Textron knew close management and a carefully phased system evolution would be crucial for success. Disruption had to be minimized or eliminated despite the extensive changes planned. Implementing Rev-Trac early allowed Textron to avoid common problems, including changing procedures without documentation or proper authorizations. So, changes did not have to be reverse-analyzed or re-engineered later, after the trail went cold. Rev-Trac became indispensable to the global giant in its implementation of SAP systems. In automating its SAP change management, Textron simplified its systems evolution. As a result, both the number of Rev-Trac users and the amount of data maintained in Rev-Trac supported systems grew beyond original projections. The process visibility and control Rev-Trac provided helped Textron to meet its SAP transformation goals and establish more effective audit records Greater transparency and tighter controls means the business always know what SAP changes are made and who has approved them. “We have huge projects being implemented – one has been going on for over two years with over 4,000 transports – but we can control all changes in our objects. We turn on tracking and know who’s working on primary versus secondary landscapes. We turn on locking and overwrites never happen, dependencies are never misplaced. “Auditors respect our ability to run histories and reports and pull them up at any time. They love it that we can show compliance and prove visibility, that it’s a built in part of our regular processes,” he said. Enhanced visibility, more efficient change SAP change management and a fast track to compliance are not the only benefits of implementing Rev-Trac. 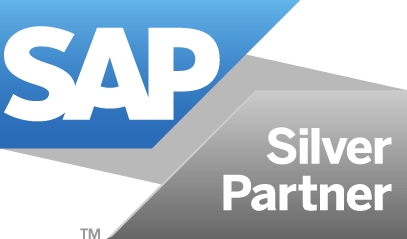 Utilizing Rev-Trac allows all levels of management to gain better insight into SAP projects to enhance business outcomes. Bhaskar Ramachandran, manager, SAP technology, Textron Global SAP CoE, said: “Finance likes hard numbers. We can say it would take several full-time people just to manage change records inside our SAP landscapes without Rev-Trac. They see that we manage the whole system, including change records, with minimal staff now. That gives them a number they can rely on,” he said. Importantly, for a company that does business in highly regulated environments Rev-Trac maintained a positive record that manages can access immediately, eliminating a lot of risk.